How do I know when the ducts may need to be cleaned? There are a number of different things that will indicate whether a air conditioning system needs cleaning. First, and most evident, is that dirt, dust and debris is blowingout whenever it is used. Second, you may notice a musty, dust odor which could indicate a dust and dirt build up. You can ask your A/C service contractor (if you have one) to look and let you know. People experiencing allergic reactions when the system is running is an indicator that it is time for a cleaning. The most certain way is to look. If you are so inclined, you can remove a vent and inspect the interior of the ducts. They will be dirty or not. The best way is to have a professional inspect and give you’re their assessment of the condition of the system. The air flow is low when the system is running. Does that mean the system is dirty? Not necessarily. In fact, a very low flow of air usually means a mechanical problem of some sort, such as a disconnected duct, collapsed duct, a closed air damper or something of that sort. While air ducts can get extremely dirty, the dirt rarely is enough to block the air flow. The most common times when blockage occurs is when the cooling coils get clogged up with debris or when a piece of internal insulation has come loose. Do dirty A/C systems cause allergies? Dirt, dust and other contaminants in a system can be an irritation and can aggravate allergies, particularly when there is some sort of microbial contamination such as mold. However, a dirty system does not cause allergies. The cause of an allergy is something determined by medical tests. Cleaning a system can reduce triggers for allergies. What do I have to do to get ready for duct cleaning? We advise that one put away breakable or fragile items that are near vents in the walls or ceilings. In businesses, that means vases on desks or counters, photographs, sensitive devices, etc. In homes, it means easily broken items on tables, etc. This does not need to be extensive and a good work crew always takes great care with furnishings and other items within a home or business. Another thing to prepare is to ensure that everyone who may be there during the cleaning is aware the cleaning will be done, that it will be noisy and that the work crews will need access to all areas the home or office that are air conditioned. That way the work will be completed in as efficient a manner as possible. In commercial buildings, the work is usually done “off hours” as duct cleaning is disruptive to normal business operations. In a home, the work is during daytime hours. Does everyone need to leave during the cleaning? Yes, and no. As mentioned above, commercial buildings are usually cleaned during off hours when nobody is there, or when very few people are there. In homes, the work is during daytime hours. You can be home without any problem, but do understand there is a lot of noise from the vacuums, the men will need access to all parts of the home and they will be covering a lot of the furnishings with plastic tarps. During the process, there may be a bit of a mess, but that is common with any sort of maintenance work on a home or business. However, the crews take care to cover desks, furniture and other items with light tarps. In residences, the crew normally wear “booties” to protect your floors. Further, the vacuums used are HEPA (High Efficiency Particulate Air), which filter out 99.7% of all particles larger than .3 microns, so any dirt and dust vacuumed from your system does not blow into the occupied space. Finally, the crew does a thorough clean up after the project is done to ensure the space is left in great shape. Yes, at certain points it is loud. Powerful, high efficiency vacuums are used which generate a fair amount of noise and other hand tools which can be very disruptive to normal business operations. This is why work in commercial buildings is normally done off hours. 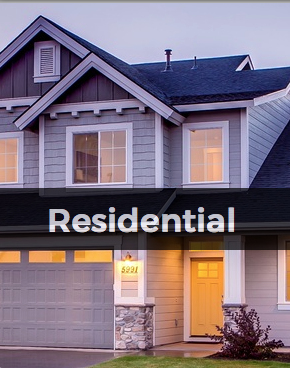 In a home, we ask that customers simply be aware that there will be noise during the project. Sanitizing a system, while it sounds good, is only needed when there are positive indications of microbial contamination such as visible mold growth, slime in the condensate pans or laboratory analysis of samples taken from the system. Just as you wouldn't take cold medicine if you didn't have a cold, you wouldn't sanitize without indication that it is needed. And we use only sanitizers registered with the EPA for use in HVAC systems. We use a negative air industrial vacuum unit with HEPA filters to capture dirt from he system while cleaning. While setting up to clean your system, like taking down air vents, our crews take care to protect furnishings, floors, etc and they carefully clean up afterward. Our commercial proposal specifications states: "Cleaning of premises: Air Duct shall keep the job site clean of all surplus materials and debris. We shall dispose of all debris and leave area broom clean at the end of each work shift". The same applies to residential projects. The length of time to complete the cleaning varies depending on the size of the system or systems. A typical residential project can normally be completed in one day, larger homes sometimes taking multiple days. 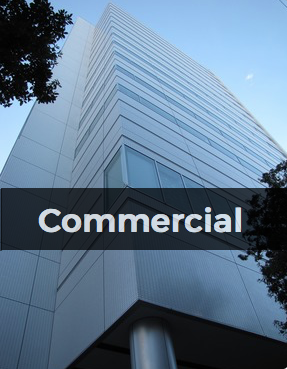 Commercial buildings can take a day or may take weeks or months depending on the size of the facility. In these cases, the work is coordinated by our service department with the building management, engineer and occupants to ensure a smooth project. What about sanitizing the air conditioning system? Sanitizing a system, while it sounds good, is only needed when there are positive indications of microbial contamination such as visible mold growth, slime in the condensate pans or laboratory analysis of samples taken from the system. Just as you wouldn't take cold medicine if you didn't have a cold, you wouldn't sanitize without indication that it is needed. And only sanitizers registered with the EPA for use in HVAC systems should be used. Should I put new filters in the system when it is cleaned? Replacing the air filters at the time of cleaning is recommended. There are many sizes and types of filters, so it is not feasible to carry all of them in a service truck, but we will install new filters if they are provided by the homeowner or business at the time of cleaning. If arranged prior to the project taking place, however, we can provide the filters as well. Discuss that with the estimator or manager ahead of time. What kind of filters are best? There are many types of filters, from basic "flat panel" filters to expensive high efficiency filters of various types. We do not recommend cheap flat panel filters as they are very inefficient in trapping dirt and debris. At the same time, we do not necessarily recommend going with the most expensive high efficiency filter. We recommend using a decent pleated filter that fits well. This type filter out a high amount of dust while maintaining a good air flow. How often should a dryer exhaust duct be cleaned? You should have the dryer exhaust vent cleaned every 1-2 years. That can vary due to construction of the vent, how long it is, how often it is used. Usually after the second cleaning, the technician can let you know the recommended frequency. Do you need a license or other requirements to clean air conditioning systems? Yes. In the State of California, a cleaning contractor must have a valid C-20 (Warm-Air Heating, Ventilating and Air-Conditioning Contractor) license or C61 D64 (Limited Specialty License) as well as maintain valid liability and workers compensation insurance. What options are there for payment? Our terms are net on receipt of service. Other arrangements can be discussed with our accounting department prior to contracting the project. We accept all major credit cards, check or cash.